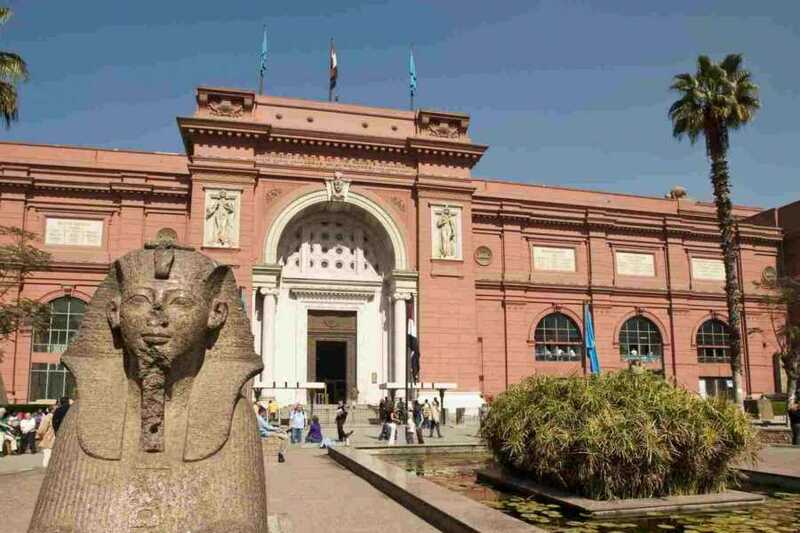 tour starts at 9:00 am with Pickup from your hotel in Cairo or Giza By Emo Tours guide to Start your half day tour visiting the Egyptian Museum of antiquities. It displays the largest and most precious items of the Egyptian art in the world. It exhibits a rare collection of over 250,000 genuine artifacts that date as far back as 5000 years, including an exclusive exhibit dedicated to the Tutankhamon - A collection of treasures, gold, and jewelry that were buried in his tomb for over 3,500 years before they were discovered in the 1920s when his tomb was excavated.